1. Place a large frying pan over a high heat. Add 1 tbsp of Oil and place in the Tuna Loins. Sprinkle over some Salt & Pepper and cook for 30-50 seconds. Remove from the heat. 2. Alter the heat setting to medium and add in the Soy, Balsamic and Chilli. Simmer for 3-4 minutes. 3. 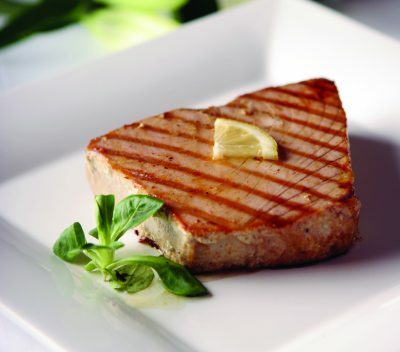 Add the Tuna Loins back to the pan and smother over the sauce and ensure they are cooked throughout. 4. Serve with a garnish of Lemon & Coriander.